Picture this: You’ve got a diner-style eat-in kitchen complete with Big Chill fridge, Wilsonart counters and a vintage dining table with aluminum siding. What’s the only thing missing? 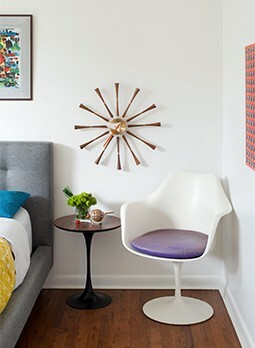 A retro wall clock to add a nice pop of turquoise to your wall. 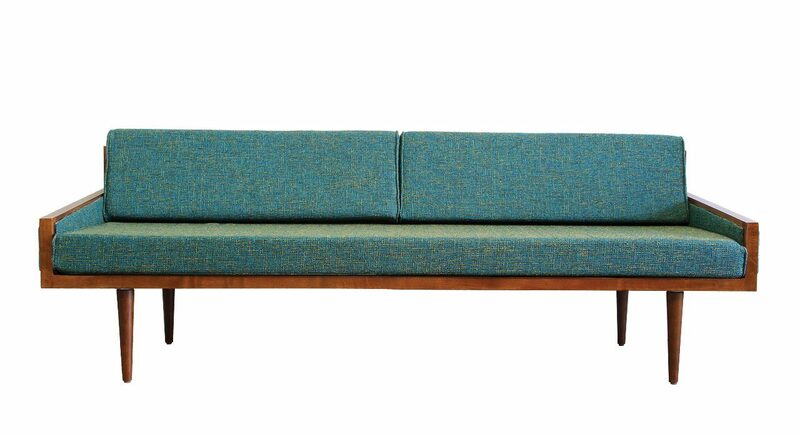 Executive daybed sofa in Lucky Turquoise, Casara Modern. The perfect turquoise anchor for a summer home living room? Make a statement with a sofa, like Casara Modern’s executive daybed sofa upholstered in Lucky Turquoise. Sherpa Pile Blanket in Cowrie Stripe Blue, Traci Nichole Design Studio, DiaNoche Designs. If a full sofa isn’t on your shopping list at the moment (or committing to so much turquoise is a no-go), why not coat your current sofa with a stylish splash of the shade with a sherpa pile blanket in Cowrie Stripe Blue? Pebbles Extra-Small Decorative Pillow in Aqua, Area Inc.
Perhaps all you need is a subtle dash of turquoise, enough to cool down your room without overwhelming it with a large item. 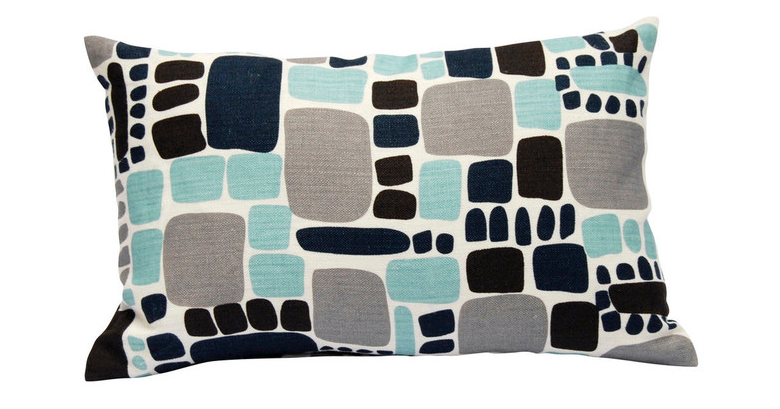 All you need is one or two of these pebbles extra-small pillows in aqua to do the trick. 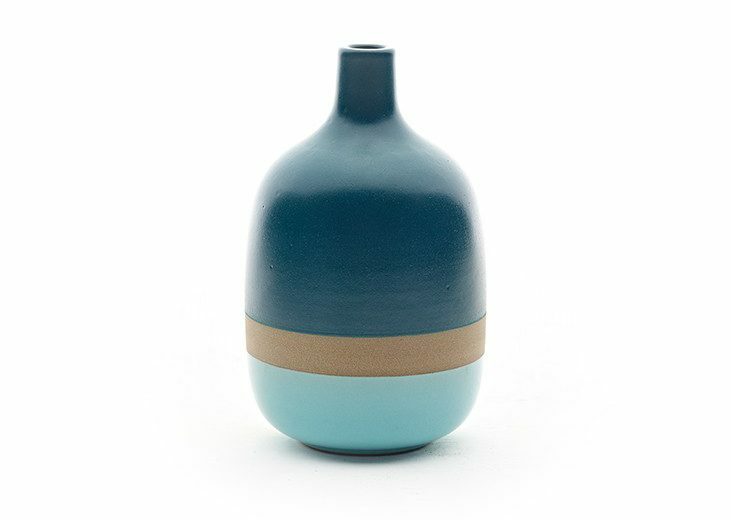 Trimmed single-stemmed vase in deep teal and aqua gloss, Heath Ceramics. Accent any room with a touch of the turquoise using a well-placed piece of art. We love anything Heath Ceramics, so this unique single-stemmed vase in deep teal and aqua is the perfect tabletop or credenza-cresting accessory. 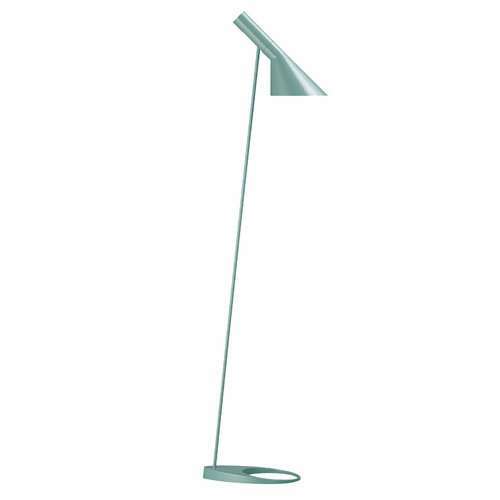 AJ Floor Lamp in blue/green, Y Lighting. For those wanting to bring both color and serious midcentury design into their homes, a lamp designed specifically for the SAS Royal Hotel in Copenhagen, Denmark, should do the trick. This AJ floor lamp in blue/green, designed by mid mod Danish great Arne Jacobsen, is a beautiful testament to design and color. Reverb in Moody Blue, The Mod Generation Collection, Bradbury & Bradbury Art Wallpapers. 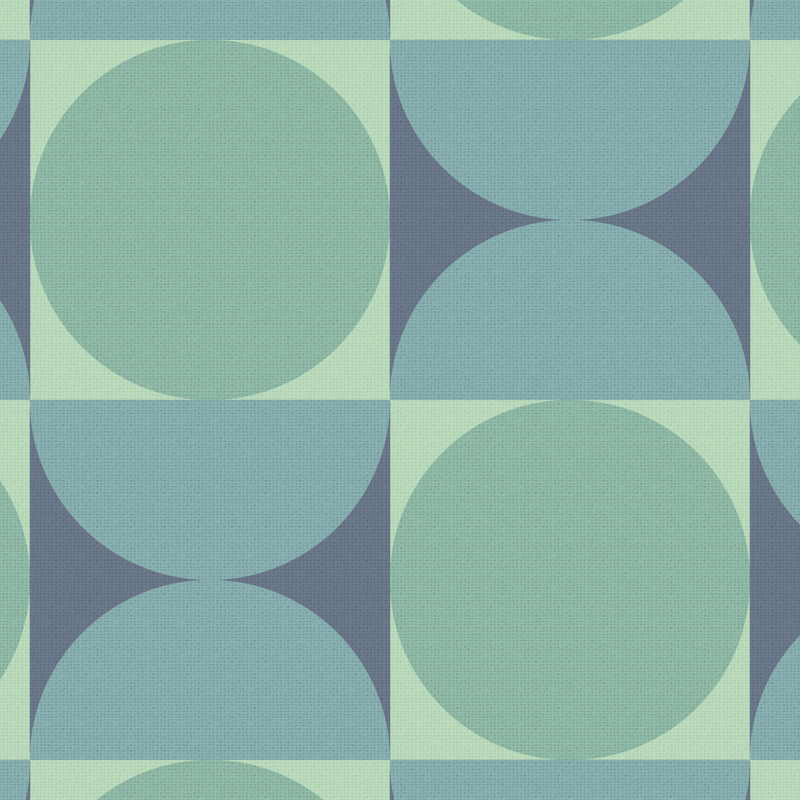 Finally, for those ready to turn their entire room into a turquoise paradise, go atomic with midcentury-style wallpaper. With a variety of shades of blue, green and teal, this Reverb wallpaper in Moody Blue from Bradbury & Bradbury will keep things nice and cool.